Arthur Preston - THE MASSACRE AT LE PARADIS - HELL IN PARADISE - MAY, 1940. 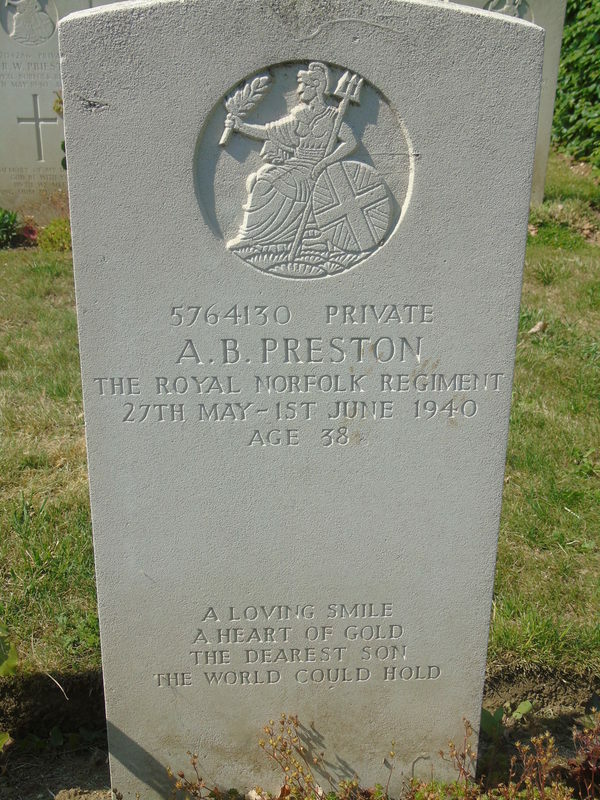 Private 5764139 Arthur Benjamin Preston. Died between 27th May and 1st June, 1940 aged 38. ​Son of Benjamin and Alice Preston, of Norwich. In the 1939 Register Benjamin and Alice were living at 85, Mousehold Avenue, Norwich. Benjamin was born in 1867 and Alice in 1872. Benjamin was a retired corporation carter.